About a month ago I went to my first scrapbooking crop since the 90s. It was amazing to see so many women in one place all working on their layouts or cards! 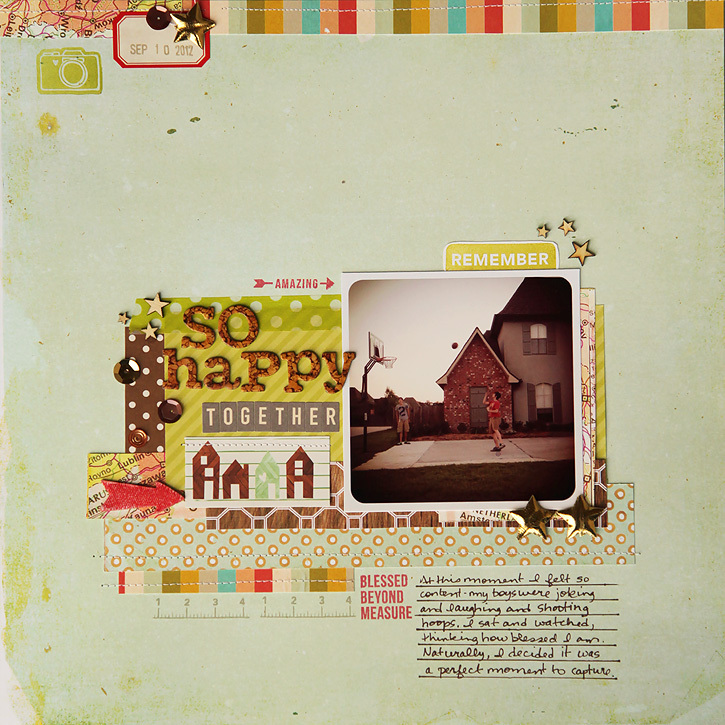 I got a lot of scrapping done with my Studio Calico September kit, Central High. Okay... here are a few layouts I made during my awesome crop weekend! Some of these are being shared over at Write. Click. Scrapbook. for my second day of blogging on stamping. By the way, tomorrow is the very last day to register for Project Real Life by Becky Higgins so if you're planning on taking the class, better hurry! Love Love your pages Deb! I ca tell you had a lovely and very productive crop. Lovely layouts and I particularily love the layering on *Walking Away*. Wow!! I LVOE all these layouts!! Love your style! 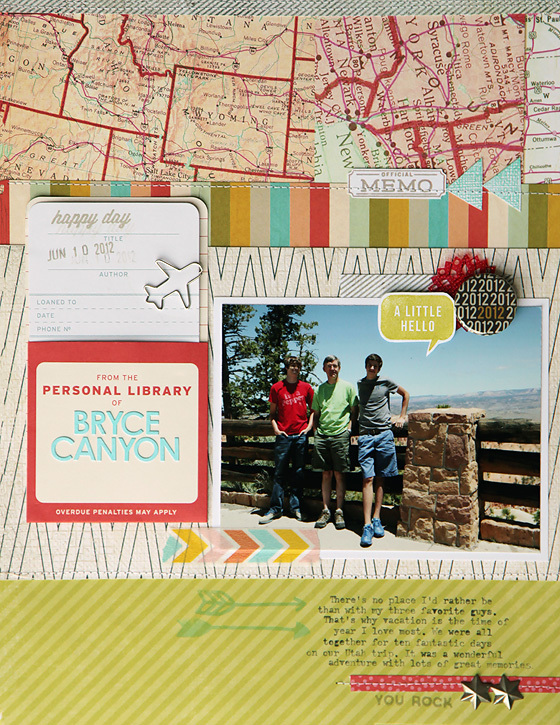 Saw these layouts at write.click and had o pop by and tell you how awesome these all are!! Thanks so much! Glad you stopped by! You know I am loving all if these! Each one is so colorful, just pure eye candy!! And PS I cannot wait for next crop!